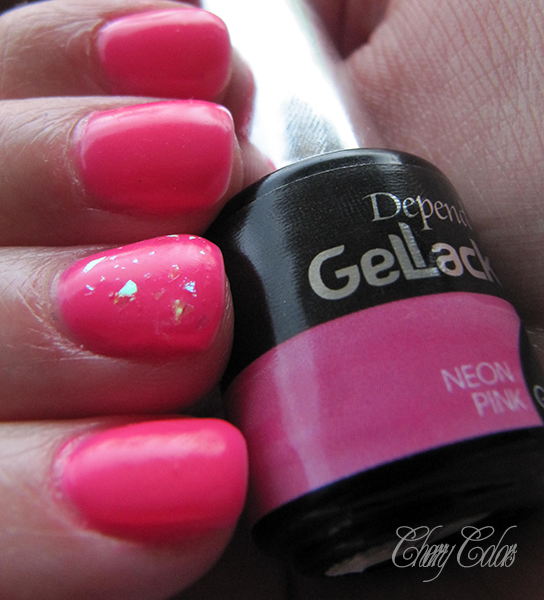 NOTD: Depend Gellack in Neon Pink - Cherry Colors - Cosmetics Heaven! I wanted to try a real gel manicure (not a peel-off), because it tires me to think about all the lovely manicures I could do and don't have the time to do when I want to :P. Okay I complicated this a bit. 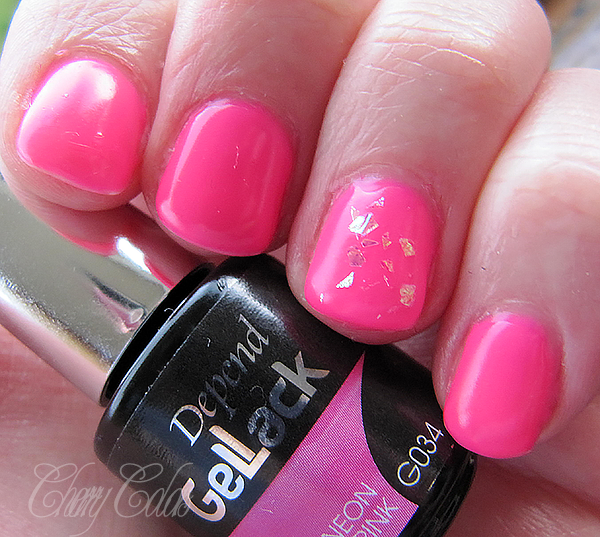 I wanted to try a gel manicure and see if it would stay on for 2-3 weeks. 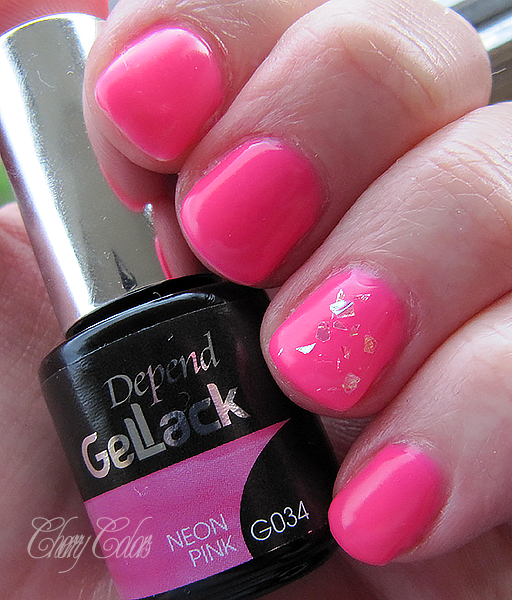 I got a Depend gellack base, a colored depend gellack polish (Neon Pink) and used those with my Essence stuff (gelTop coat and effect gel top coat) + the cleanser, nail primer etc. I think it came out OK. Maybe a bit thick, since the Essence top coat doesn't work that well with wet nail polishes (or those that still have a film on - like the gel manicure does). At the end I got some holes in it so I applied two layers of the top coat. 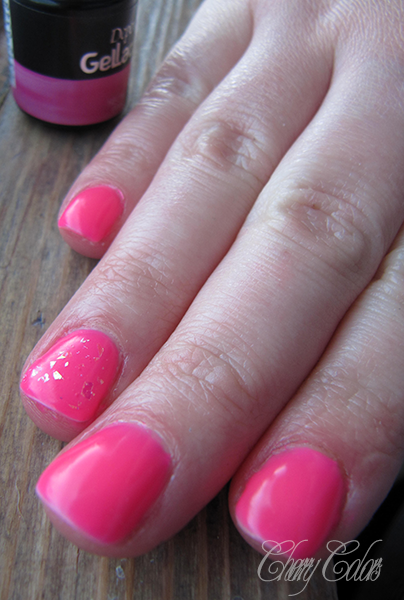 I used two layers of the colored gel polish. On the index and thumb I used the Essence Effect gel top coat, and I had quite a hard time trying to fetch those flakes and place them on my nail.. A mini nightmare!